Conveniently located just across the street from the Mall of America and ten minutes from the Minneapolis airport, our hotel is a great location! 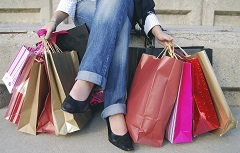 Shop 'til you drop at the Mall of America and enjoy all 400+ stores it offers. The Mall of America is just across the street, only a five-minute walking distance. However, we have complimentary shuttle service to and from the mall at the top of every hour from 10:00 a.m.–10:00 p.m. Two restaurants are attached to the hotel by hallway—TGIFriday's and a 24-hour IHOP (International House of Pancakes). The hotel has two pools and two hot tubs open until 11:00 p.m. for kids and until midnight for adults.